Supplier Corporate Profiles: J. J. Keller &amp; Associates, Inc.
Home » Supplier Corporate Profiles: J. J. Keller & Associates, Inc. Founded in 1953 by John “Jack” Keller, J. J. Keller & Associates, Inc.® was originally a one-man regulatory consulting, warehousing, and insurance writing operation. In the beginning, the company focused on transportation-related services, building a reputation for providing practical help in meeting complex government regulations. A lot has changed since then, and J. J. Keller is now a respected leader in the field of safety, regulatory compliance, and best practices across several markets: Workplace Safety, Transportation, Human Resources, Construction Safety, and Hazardous Materials. J. J. Keller also has a knowledgeable and dedicated staff of subject matter experts. With a combined 100+ years of experience, our workplace safety and compliance editorial team has written articles for key publications, as well as presented on a wide variety of safety and compliance topics. Their knowledge provides J. J. Keller and our customers with a unique, and informed, resource. We want to be your first choice when you need assistance in meeting the safety and compliance regulations of OSHA and other government agencies. 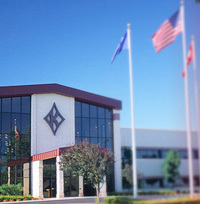 Visit jjkeller.com to see for yourself the wide selection of safety and compliance products that are at your disposal.